The team behind Midtown restaurants Molyvos and Oceana has opened Ousia, a Mediterranean spot. Chef Carlos Carreto is serving poached cod with avocado and taramasalata, grilled endive salad and blackened mahi tacos. Dinner nightly. Ousia, 629 W. 57th St., New York, NY 10019, 212-333-2000. Felipe Mendez, chef/owner of La Superior and Cerveceria Havemeyer, has opened La Milagrosa Agave Bar & Listening Room in Williamsburg. The storefront is a Mexican deli, offering chorizo, dried chiles, prickly pear and fresh juices and coffee. The back room, accessed through a freezer door by telephone number reservation only, is an intimate mezcal/tequila bar and listening room. La Milagrosa, 149 Havemeyer St., Brooklyn, NY 11211, 718-599-1499. Gloria, a sustainable seafood restaurant, will open in the former Co Ba 53 space. The 40-seat spot will serve fluke, octopus, tilefish and squid, plus natural wines, New York beers and espresso from Parlor Coffee. Gloria, 401 W. 53rd St., New York, NY 10019, no phone. Emily and Matt Hyland of pizzerias Emily and Emmy Squared in Brooklyn will launch a Manhattan outpost of Emmy Squared in the former Blue Ribbon Bakery Kitchen space, on Downing Street in the West Village. Emmy Squared cooks Detroit-style pies, like the namesake Emmy with mozzarella, banana peppers, onions and ranch. They also serve a hit burger. Emmy Squared, 35 Downing St., New York, NY 10014, no phone. From the Jacob’s Pickles folks is Maison Pickle on the Upper West Side in the former Ouest space. The menu highlights multiple iterations of the French dip sandwich, plus clams casino with bone marrow and cocktails. Dinner nightly. 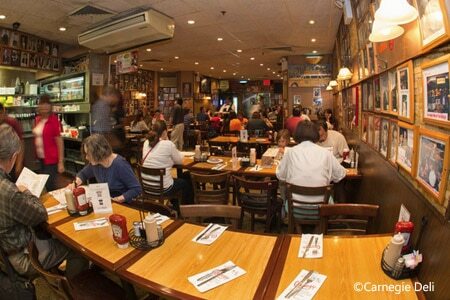 Maison Pickle, 2309-2315 Broadway, New York, NY 10024, 212-496-9100. Eiji Ichimura previously crafted sushi at Brushstroke and left in 2016 to open a restaurant in TriBeCa. Ichimura offers an omakase dining experience at a ten-seat sushi bar for $300 (including tip). Ichimura, 69 Leonard St., New York, NY 10013, 212-404-4600. Dayboat Restaurant has opened in the former Salt & Fat space in Sunnyside. The restaurant is a celebration of all things seafood with South American inspiration and offers ceviches, paella and mahi mahi with corn and sweet potato. Dayboat Restaurant, 41-16 Queens Blvd., Sunnyside, NY 11104, 718-255-6736. Matt Abdoo, formerly of Del Posto, heads the kitchen at barbecue spot Pig Bleecker in Greenwich Village. Look for his ravioli with smoked brisket and truffle butter and sweet-and-sour smoked duck confit. Dinner nightly. Pig Bleecker, 155 Bleecker St., New York, NY 10012, 646-756-5115. The team behind The Commodore and El Cortez have opened a new restaurant and bar called The Drift in Greenpoint. Chef Mamie-Claire Cornelius serves a pimento cheese plate and a sandwich made of chopped ribs and mustard named the Hangry Man. Frozen cocktails flow. The Drift, 579 Meeker Ave., Brooklyn, NY 11222, 718-504-7776. Live On Air, New York’s first live broadcast restaurant, streams nightly on Facebook, Twitter and Periscope. From Louisiana chef Bobby Bouyer, the menu offers American fare with a Southern flair, like fried green tomato and kale salad. Live On Air, 335 Flatbush Ave., Brooklyn, NY 11217, 718-618-0156. Madame Vo, a new East Village Vietnamese spot, serves green papaya salad with beef jerky, chicken braised in a clay pot and pho with 24-hour beef broth and bone marrow. Lunch & Dinner daily. Madame Vo, 212 E. 10th St., New York, NY 10003, 917-261-2115. If you're the kind of person who eats cookie dough straight out of the bowl, your dreams have come true with the opening of DO Cookie Dough Confections. Founder Kristen Tomlan created a pasteurized-egg product and heat-treated flour to make her raw cookie dough safe, and she serves it half-baked into brownies, mixed into Blue Marble ice cream sundaes and milkshakes and scooped in cones. DO Cookie Dough Confections, 550 LaGuardia Place, New York, NY 10012, 646-892-3600. Stephen Starr venue alums Ben Lowell and Sara Leveen, along with chef John Nguyen, have opened Hanoi House, a Vietnamese restaurant on St. Marks Place. Look for dishes like pomelo and shrimp salad, congee with roasted Manila clams and lemongrass and coconut braised brisket with marrow toast. Dinner nightly. Hanoi House, 119 St. Marks Pl., New York, NY 10009, 212-995-5010. Until Tomorrow, a new cocktail bar in Clinton Hill, serves fun drinks from Rob Giles, formerly of Erv's on Beekman, and bar food from Dave Ralston, who cooked at Blue Hill and Luksus. Expect curried-chicken fajitas and a hot Italian sausage corn dog. Until Tomorrow, 507 Myrtle Ave., Brooklyn, NY 11205, 347-987-4181. Beloved Staten Island pizzeria Joe & Pat’s is opening an outpost in Manhattan. The family-run establishment will serve its thin-crust pies in the East Village, in the former Lanza's space. The 50-seat restaurant will have a full bar. Joe & Pat's, 168 First Ave., New York, NY 10009, No phone. Nurul Amin's first NYC restaurant, Simon Indian Palace, has a team of three chefs: executive chef Jalal Bhuiyan, curry specialist Miraj Bhuiyan and tandoor master Shohag Alam. Look for a lunch buffet and a creative cocktail list. Lunch & Dinner daily. Simon Indian Palace, 230 E. 58th St., New York, NY 10022, 646-590-0647. The restaurant formerly known as Raw New York has changed its name to Coarse. Vincent Chirico's West Village spot has a concrete chef’s counter for tastings as well as an à la carte menu. Veggies, meats and seafood are served raw or are cooked over very low heat. Dinner nightly. 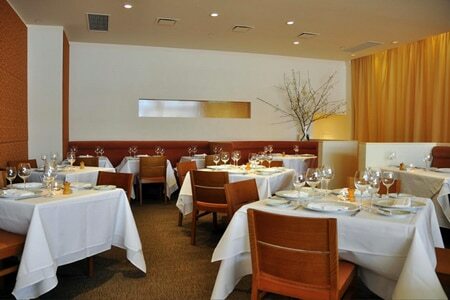 Coarse, 306 W. 13th St., New York, NY 10014, 646-896-1404. Manhattan Cricket Club, the cocktail lounge above Burke & Wills on the Upper West Side, is open for private Super Bowl parties. The $75 per person cost includes unlimited old fashioneds and martinis, beer and wine, and snack platters for each guest. Manhattan Cricket Club, 226 W. 79th St., New York, NY 10024, 646-823-9252. Machiavelli on the Upper West Side will offer a Valentine’s Day menu from chef Gian Pietro Ferro. It will include smoked salmon tartare with raspberry vinaigrette; heart-shaped beet ravioli with burrata, butter and sage; and scallops in pink pepper sauce. Machiavelli, 519 Columbus Ave., New York, NY 10024, 212-724-2658. David Bouley’s eponymous restaurant will once again change locations. Bouley will close in 2017 and re-open at a new address in late 2018 or early 2019. 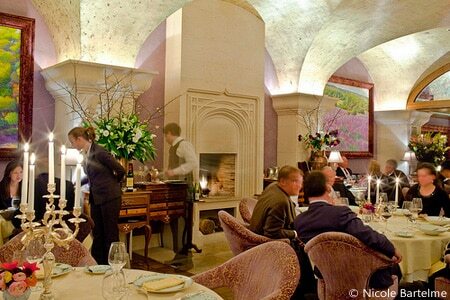 Bouley, 163 Duane St., New York, NY 10013, 212-964-2525. After a 17-year run, chef/owner Anita Lo will close her Greenwich Village restaurant Annisa in May 2017. Annisa, 13 Barrow St., New York, NY 10014, 212-741-6699. New York institution Carnegie Delicatessen closed its doors on December 31, 2016. It was one of the best places to get top-quality (and lean) corned beef and pastrami, enormous overstuffed sandwiches and real New York deli ambience. Carnegie Delicatessen, 854 Seventh Ave., New York, NY 10019, no phone.